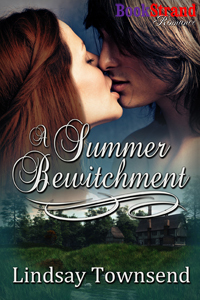 Recently, Siren-Bookstrand accepted my historical romance 'A Summer Bewitchment'. This is a sequel to my historical romance 'The Snow Bride'. I loved writing it. But why did I? 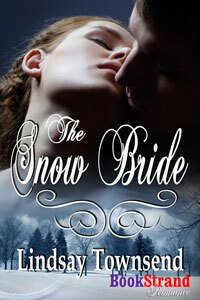 'The Snow Bride' is a complete romance in itself and can be read as a stand-alone title. Even so, when I had finished that story, I found the characters hard to let go. Magnus and Elfrida still had things to share with me and tales to tell me. Their differences in rank continued to intrigue me, also Magnus' battle scars and wounds begged the question, how deep did they go? I found myself thinking of them within their new home, in a summer landscape, and soon I had the first scene in my mind. Magnus, his laconic, dry wit and rock-like dependability. I enjoyed the fact that he's the kind of Alpha male who doesn't have to yell about his masculinity all the time. I liked Elfrida with her fierce sympathy and deft skills, her courage and her self-doubt. They were challenging, interesting characters. In 'A Summer Bewitchment,' the romantic conflict had to be different to that in 'The Snow Bride,' when the pair were learning each other and falling in love. Just as in real-life, Magnus and Elfrida have flash points in their relationship and I explored those. There were also new tensions I could build in. With 'The Snow Bride' I used the fairy story of Beauty and the Beast as an inspiration. 'A Summer Bewitchment' draws on the old, terrifying legend of the Pied Piper, who seduces youngsters away. I am pleased with the resulting story, which takes Magnus and Elfrida to different places and different points in their relationship and marriage. I hope you will be too. Hi! I found your blog via bookblogs, on the bloglovin group. Looks good, so I followed you on bloglovin. You can check out my blog at http://thewiseserpent.blogspot.com/.